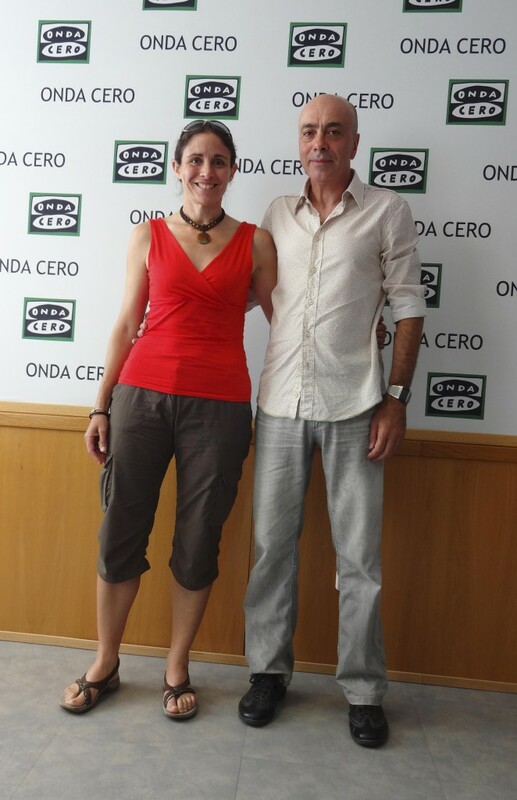 Last Saturday my interview with Carles Aguilar was broadcast on Onda Cero Radio Catalunya. Carlas is a runner as well, therefore it was a somewhat deeper interview than usual – we started out with a basic understanding. It turns out that we agree on many things – thoughts and ideas – making the interview a great pleasure in being able to chat in depth about thoughts and philosophies. Today at midday we’re expecting Carmen, Estefi and The Cachorro. We haven’t seen them for far too long due to distance, and though they’ll only be here for less than 24 hours, I have no doubt that we’ll enjoy every moment with them as we always do. The alarm clock sounded far too early today as I want to get as much work done as I can before they arrive! You can hear the Onda Cero interview here: Chatting with Carles Aguilar. You need to scroll down to the very bottom of his webpage to see the interviews – mine is the latest one. It’s not Cool to Dehydrate! Here in Spain we are in the middle of a heat wave. This though, isn’t a reason not to train – it’s just an excuse. Forget all those who say that drinking water isn’t important while training – grab your pack, fill it with water, put on your cap, your shades, and some organic sun screen and…off you go! Collapsing with dehydration, fainting, or even worse, isn’t necessary if you are in good health and good shape. If you’re sick, feeling weak, have a virus, or just don’t feel well, it’s better not to train (not now during the heat wave, and not at all till you recover fully). Never train or compete when you’re ill. But if you are well, then all you need to do is hydrate 24 hours a day, and continue doing that while you are training. There isn’t any great mystery – we are at least 70% water, and when we sweat we need more…therefore when we train we need EVEN more. We’re human and we need to take care of ourselves. You need to replace lost vitamins, minerals and salts – preferably use organic products, and preferably those that contain no colorants, chemical preservatives, artificial sweeteners, and any other dangerous chemicals. 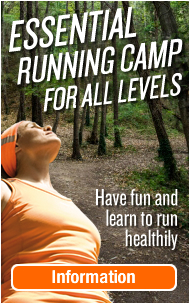 Obviously take care with the training sessions themselves – better drop your pace, and lower your distance and intensity, but you during my 2010 km solo run 3 years ago when I was running some 70 km per day for 31 days during the hottes time of the year, I always ran at 36ºC and above. 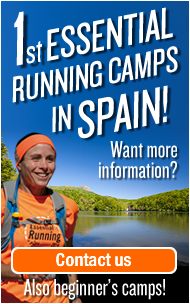 For a week or 10 days I was running my 9-14 hours at 42-46ºC. What’s my secret? Hydration and protection! One little bottle of water or sports drink (many of which are bad for your health so beware! ), isn’t enough. When I train during the summer, I never drink less than 1.5 litres of water for each hour and a half. That’s my minimum. During the 2010 km I drank around 12 litres of water per (day during and after running the 9-14 hrs). 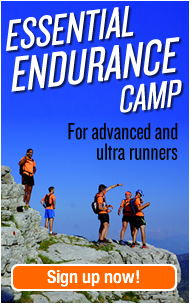 I didn’t get dehydrated once; in fact I have never allowed myself to get dehydrated during training or a challenge. Not because I’m super woman, because I’m not, simply because I take care of myself. 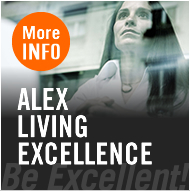 Always – and not just for sports – my health comes first. Always take care of yourself and forget what others say and do – regardless of whether they are pros or just amateurs – you don’t want to risk your health. It’s not cool. Hydrate, cover up and off you go! 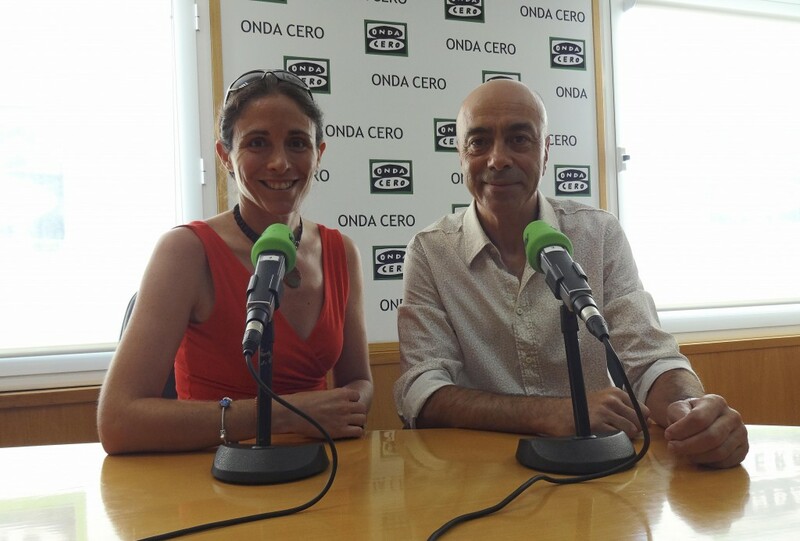 The interview I had last week with Carles Aguilar of Onda Cero Radio was great – being a runner himself we had much to talk about, and it turns out that we agree on many aspects of out favourite sport. It was broadcast on Saturday afternoon. I hope to have it here tomorrow, Carles has sent it to me but I seem to be struggling with the download, and I need Siscu to help me. Yesterday Oz, Jordi and I set off for a run at 3pm in the full heat of the afternoon. We decided to head for the hills, or rather I had decided, and they being brave didn’t complain! Halfway up the 7 km vertical ascent we were all bitterly regretting this decision… but as is the case with anything that makes you struggle, when we got to the top we were delighted despite the heat, the humidity and our general laziness. But these are the joys of August – and if you can “enjoy” them with great friends, after there is always a cold shower and a delicious meal, which is all the tastier after having sweated so much.